Welcome to Shop Talk! The team at The Looking Glass is excited to launch our brand-new website and with it, this blog. 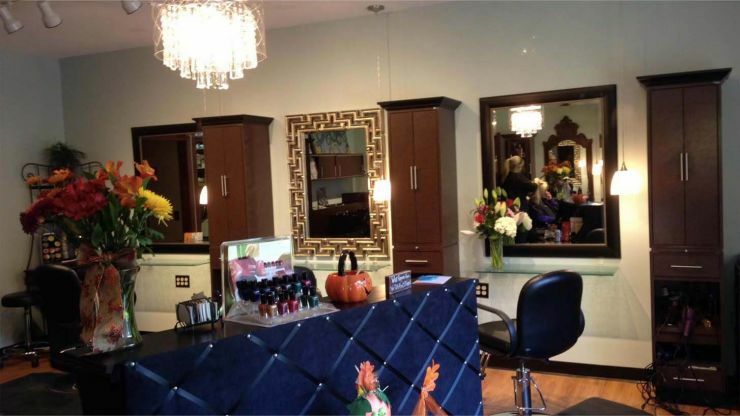 In the salon we help our customers look their best and we wanted our website to look great too. We’re all about staying stylish and want to look our best online so we decided it was time to give our website a makeover. We chopped off those dead ends and freshened up the color. We hope you like our new look! It’s official, summer is over and fall is here. Break out the oversized knitted sweaters, rich autumn colors, and those glorious boots you’ve been dying to slip on since early August. Cool brisk air is slowly moving in, chasing away the summer humidity and all the frizz that came with it. 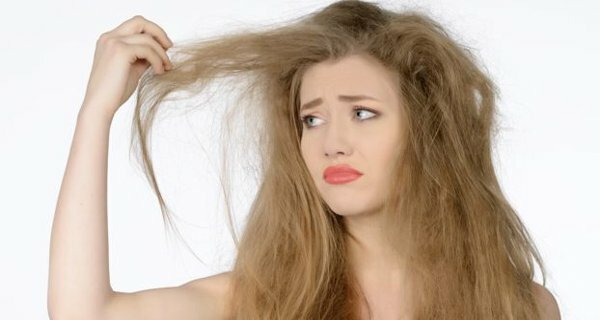 While the cooler weather is a relief from those hot summer days, often it brings dry air that threatens your luscious locks. To lock in moisture for the fall and upcoming winter and reduce breakage, let’s take a look at some key products and practices that can help. Move over June brides! It’s time for the ladies of autumn to have their time. Summer may be a popular time for weddings, but fall weddings exude a great deal of charm and elegance. Just think of the richly-hued leaves of New Hampshire, the brilliant golds and ruby reds that hundreds of people travel to see each year. The summer heat will be a thing of the past and opportunities for outdoor activities will abound. Carriage ride through the fall foliage? Yes, please! And what about that elegant, vintage gown you have your eye on? Many vintage gowns feature high necklines or sleeves that are too warm for the summer months. 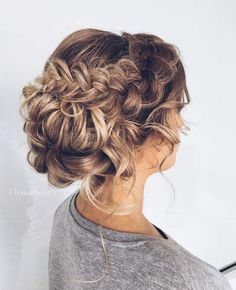 And those sophisticated hairstyles you love? Summer heat and humidity can destroy them. 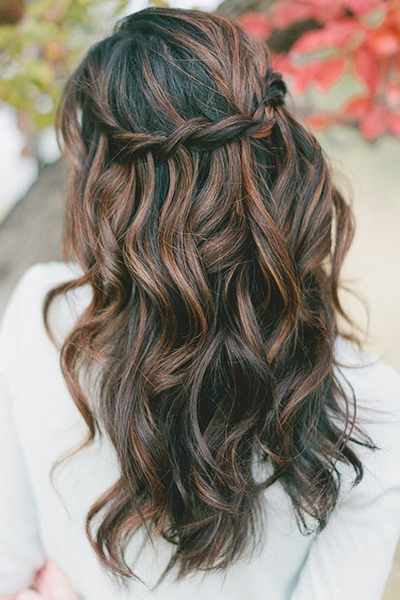 But autumn means cooler, drier days, which are perfect for these amazing fall wedding hairstyles. We are halfway through summer, which means for us girls who love fashion that it is time to start thinking about fall. At this point we are over sweating off all of our makeup and having our hair rebel by falling flat or frizzing out from the humidity. We are ready for our pumpkin spice lattes, fashion boots, sweaters, and most importantly our new fall hair-do. Summer is in full swing, which means that it is hot, hot, hot. Those of us with long hair have a really hard time staying cool. Some of us will head to our local Rochester hair salon to chop our mop-tops, while others will resort to those high ponytails and messy buns. Today we are going to talk about trendy hairstyles to help you beat the heat this summer without chopping off your luxurious locks. Church bells are ringing, birds are singing, and flowers are blooming; wedding season is in the air. Many couples opt to get married in the great outdoors so they wait for the warmer season to host their special day in hopes of avoiding a weather crisis. The bride is getting excited for her big day, she has found the perfect gown and is maintaining her figure to make sure that she fits into it. The venue has been confirmed and the guests have received their invitations. Everything is falling into place perfectly. You take your bridesmaids to try on dresses and decide on a satin, strapless, plum gown for each of them to wear. Just when you think that you have all the details taken care of, you realize that you don’t have anyone to do your hair and makeup for your wedding in Rochester! 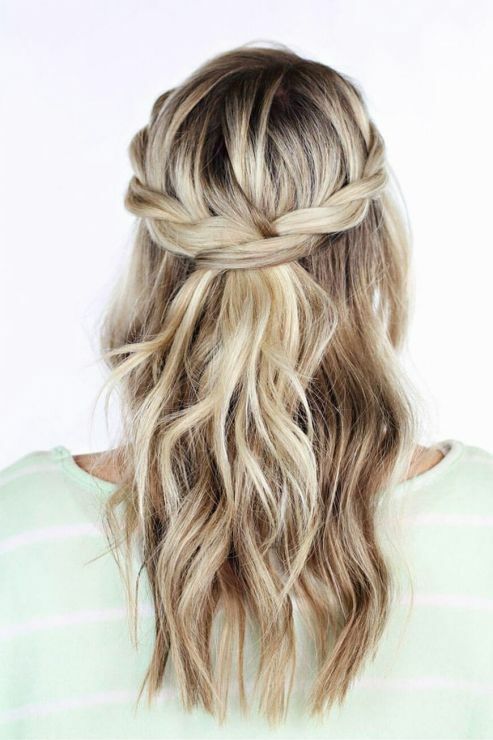 One of the newest spring trends on the market is mermaid hair. This style of completely dying your hair a few different bold colors is oh so popular. 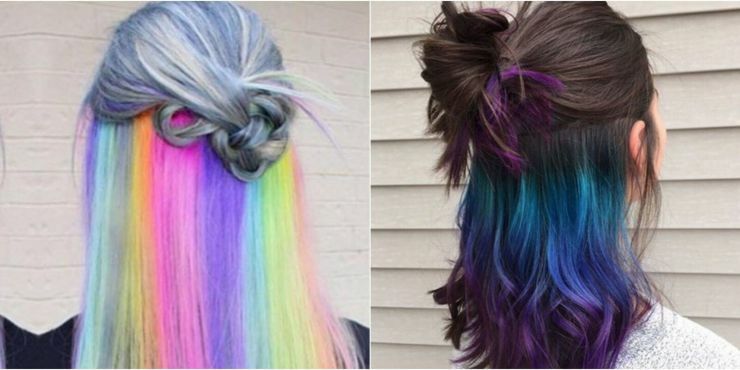 Some girls choose to put all of the colors of the rainbow in their hair, some go with the lighter pastel versions of the classic colors, and others opt for cool tones of blue and purple hues. No matter which tones and colors you choose, dying your long tousled hair into an array of spring colors is sure to turn heads. 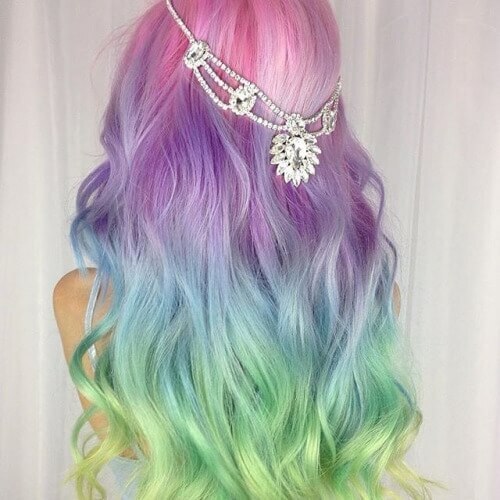 If you are feeling bold this season, ask one of our professional hair stylists about trying mermaid hair for yourself. ​Spring is in the air which means that it’s time to start reigning in on the most popular fashions and trends of the season. Find the colors and patterns that suit your style, the makeup trends to follow, and most importantly what is popular in the hair department this spring. We are talking color, cut, and style. Spring is the perfect time to visit your hairstylist for a fresh new do. Add new vivid color to spice things up, or lighten things up with a touch of natural color. 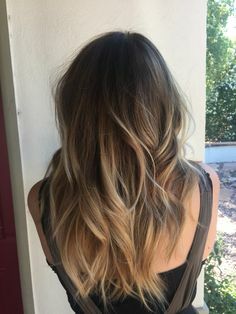 Galaxy Hair, Sunset Hair, and Underlights are really in right now if you are looking for a bold new change, or try natural highlights with red, blonde, and brown shades. This spring season head to The Looking Glass for Balayage Highlights from one of our expert stylists.